After the success of its first series of full cast Blake’s 7 audio plays, featuring all but two of the original actors to make up the Liberator crew, Big Finish has been quick to follow up with a second series, this time set later in the life of the TV series. The second series of six one-hour B7 classic audio adventures primarily features the Liberator crew from the third season of the TV series, set after the events of the Intergalactic War. By this point, Blake and Jenna have moved on and Avon (Paul Darrow) has stepped up as the unofficial leader of the rebel group. He, Vila (Michael Keating) and Cally (Jan Chappell) have been joined by Tarrant (Steven Pacey) and Dayna – “Terran female, attractive but deadly” – who is noticeably missing from this series of audio plays (the original artiste Josette Simon declined the opportunity to reprise her role). Into the breach steps (according to Avon), “mercenary of the first order” Del Grant (Tom Chadbon), a one-time character from the TV series (he first appeared in B7’s second season in the episode Countdown in 1979) and the brother of the woman that Avon once loved (and subsequently killed when he learned she betrayed him). Grant joined the Liberator crew off-screen in The Armageddon Storm, the third volume of BF’s Liberator Chronicles boxsets, and more recently appeared in the ninth volume which acted as a precursor to this full cast audio series. As a result, this series of audio adventures occurs about a third of the way through the TV program’s third season (for purists, probably in a gap between the episodes Rumours of Death and Sarcophagus), just as the preceding lot of full cast audio dramas were set a third of the way through B7’s second season. Simon’s absence from the series enables the writers to set up a loose, obvious story arc – one which could be nicknamed (in either jest or sarcasm) “The Search for Dayna”. Just as the previous instalments of BF’s full cast B7 audio plays were littered with “breadcrumbs” that eventually led Blake and his crew into a confrontation with the Federation President, so the opening instalments of this series, Scimitar and Fortuitas, see Avon and his team go in pursuit of their crewmate who has mysteriously struck out on her own. The first clue the Liberator crew uncover in Scimitar leads them to the Desolation sector, one of the hotspots of the Intergalactic War. There, they discover the titular shipwreck of the story and its secret cargo which has also drawn the interest of a Federation salvage crew, comprising the opportunistic Karlov (Buffy Davis) and her dry-humoured sidekick Drince (Daniel Brennan). The second breadcrumb the crew find in Fortuitas leads the crew to the rundown tourist world Solace. Before long, Tarrant is kidnapped (mild spoiler, in B7’s equivalent of being frozen in carbonite!) and Avon and the rest of the crew have to rescue him, whilst unravelling a deeper mystery and dealing with a bunch of extremist fanatics that very deliberately parody numerous far right political parties in the UK and Europe. Scimitar is a solid, straightforward example of space opera, with some good moments of humour and tension between the regular characters (Grant to Cally: “Avon’s found a computer he fancies!” “True love!”) and even the Federation salvage crew members (Drince’s reaction when he learns that he is to don the ship’s lone spacesuit and navigate his way through a storm of ship debris and asteroids is conveyed brilliantly through a disbelieving but flat “What?” There is also some good banter between Karlov and Drince once he is out in space: “Just be careful you don’t get a tear in that spacesuit! I don’t have a spare!” “Right, I’ll be sure to look after it for you!”). While Scimitar is a capable opener to this new series, Fortuitas is the better of the two releases. Fortuitas is very deliberately geared as a detective-style mystery, with Avon and Orac in the roles of Holmes and Watson (although each one clearly considers himself Sherlock!). The only disappointment with this episode is the resolution. It is difficult to explain without giving away major spoilers why it doesn’t quite work. While the true identity of the two-dimensional villain isn’t entirely predictable, it isn’t entirely plausible either and makes one of the incidental characters look like a massive chump, especially when all the evidence points to that person as the mastermind of the whole scheme! There is no doubt that Alistair Lock, as the voices of both Orac and Zen, clearly enjoys the opportunity to do something different with Orac. While it’s great to hear Lock finally get some recognition and talk about playing these iconic characters in the extras track for Fortuitas, it’s a pity the track is only available as a download for Big Finish subscribers (due to a mastering issue, the extras track was omitted from the CD). You realise how committed Lock is to these roles and in particular to ensuring he gets the late Peter Tuddenham’s original voices absolutely right (incidentally, Lock’s voice work is flawless – his renditions of Orac and Zen sound exactly like their TV counterparts; if there are indeed any subtle differences, then they are barely noticeable). It certainly helps that the writers also create some excellent dialogue for Orac as well. Lock’s performances, of course, ably complement the regular actors who are on song as usual. Darrow’s Avon, unencumbered by the pesky Blake, chews up the scenery while he gets good support from co-stars Keating, Chappell, Pacey and Chadbon. As is inevitable with an ensemble cast, not enough of the regular characters seem to get enough to do. Vila and Tarrant in particular seem to spend most of the time on the sidelines, either restricted to the Liberator while their other crewmates go on “away missions”, or (in Tarrant’s case) being captured. Nevertheless, the actors seem to enjoy so much being together (if the CD extras are any guide) that they are not troubled by how little they get to do, and there are still some individual moments of brilliance. The “Del double act” in Scimitar, when Tarrant and Grant interrogate a portmaster about Dayna’s whereabouts, is very well written and performed. A cursory but encouraging inspection of the later instalments shows that Vila and Tarrant will get meatier storylines. What isn’t explored in these first two instalments, as it was in The Liberator Chronicles, is the integration of Grant into the Liberator’s crew. 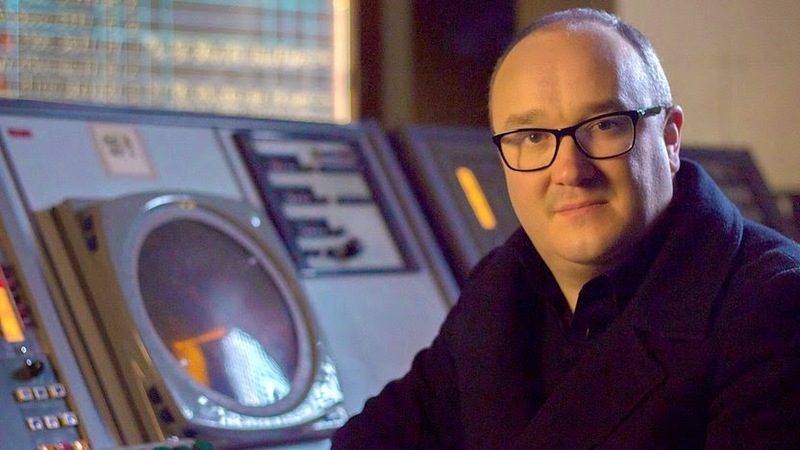 Indeed, it seems the crew have readily accepted him, judging by the Del double act, Cally’s reaction when it appears Grant has perished on the Scimitar and his work as Orac’s courier on Solace. This seems all a little confusing, given that in the recent Liberator Chronicles IX, members of the crew, including Tarrant and Vila showed immense distrust of Grant (Tarrant even threatened to shoot him in the back!). There is, of course, still room to explore Grant’s place in the crew in the next four episodes but there is little of the tension that was hinted at in the lead-in to this series. All the same, it will be fascinating to see what Grant’s ultimate fate is – and whether it will be connected at all to the conclusion of this series. In all, Scimitar and Fortuitas are a good start to this latest series of B7 audio dramas. Although the premise of the series – “The Search for Dayna” – is a little dubious (why didn’t BF consider recasting Angela Bruce, who had played Dayna in the 1990s B7 radio plays The Sevenfold Crown and The Syndeton Experiment? Bruce has worked for BF in recent years as Doctor Who’s Brigadier Bambera! ), the episodes themselves have been enjoyable and entertaining. Whether we actually will see a resolution to the story arc at the end of the six plays will be most interesting. If Dayna is to figure in the final instalment, then either Josette Simon has to make an appearance or at the very least, someone else will have to play her role. How this is executed – and whether it also ties in with Grant’s presence on the Liberator – may underpin just how plausible this series is in B7 lore. Seven years ago it was announced that Peter Jackson would oversee a revival of the Tolkien cinematic world as a two-part film series, with new director Guillermo del Toro on board. A drawn-out and difficult production path followed with Jackson eventually resuming director duties, and ultimately assembling three films instead of two. 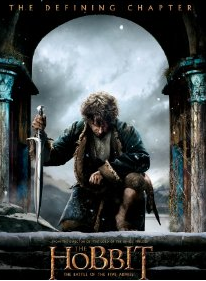 With this new film's release the journey through Middle Earth is again concluded. Perhaps what is first notable is just how short it is compared to the other Hobbit films, and indeed the original 'Rings' entries. This however seems appropriate as much of the early exposition and scene setting was done in 'An Unexpected Journey' and 'The Desolation of Smaug'. This film focuses a lot more on all-out action, choosing to embellish greatly on certain passages of the Hobbit novel and almost ignore others. The prior set-up and expansion of various subplots in the earlier films needed closure, with somewhat mixed results achieved here. Ultimately the key for viewers is one of expectation - do they want a strong challenger to multi-Oscar-winner 'Return of the King' or do they want something that works as a fun and mostly undemanding action epic? One major aspect of 'Desolation' was its choice to have a huge unresolved ending. At the time I was rather unsure if this was wise of the creative team. With Smaug central to that film's plot, it felt logical for his story to be resolved. However the execution of his cruel attack on Lake-town, in which there is little chance of escape for the exposed citizens, is a wonderful set piece. I did wonder if the dragon would get anything to say, as he constitutes an overpowering source of visual terror - leaving the dramatic duties to the humans and elves threatened. Thankfully we do get reminded of Benedict Cumberbatch's portrayal of supreme villainy. His hubris, arrogance and complete lack of fear manages to come across as rather impressive and menacing. This also ensures that his final fate works resoundingly well; the effect used to show he has been 'extinguished' is perfect. I did find the shoe-horning of Bard's son into the killer arrow climax a bit self-indulgent of the movie, but not jarringly so. For those wondering if Stephen Fry's slimy Master of Lake-town will get some form of punishment for his lack of morals and flagrant disregard for his people, there is a very satisfying answer. It also serves as a strong modern-day retelling of a classic cautionary tale on greed. Less welcome however is the consequent focus on the Master's surviving servant Alfrid. Jackson has used comic relief well beforehand in his movies, with even some of the Orcs and Goblins being effective, as well as the fascinating Gollum. This annoyingly spineless character, who keeps surviving against the odds, instead provides one lead balloon joke after another. And this does indicate that like its predecessors, this Hobbit film has a somewhat uneven tone to it for much of its running time. Admittedly this is a problem quite common in action cinema, but one that never seemed noticeable with the classic original trilogy. Thankfully the actual plot is decent. Although films' one and two had somewhat pedestrian middle acts, here I enjoyed the sections that preceded any of the battle sequences. Smaug is gone but trouble persists as the humans, dwarves and elves squabble over the many riches left in Erebor now that its giant custodian is vanquished. The way in which the dwarves virtually barricade themselves, just as Lake-town's refugees side with the Elves against Thorin's small company is really quite suspenseful. This development manages to later flow into the loud battle sequences such that emotional investment pays off and the film is comfortably coherent. Those wondering if the White Council storyline from the first film ends up going anywhere should be satisfied enough with developments here. There is a rather terrifying moment where Sauron/ The Necromancer is unquestionably revealed to be back, and the reactions of the various elves and wizards is spellbinding. I did dislike the CGI overload of the Ringwraiths, who seem to exist in transitional form like their master. They were a great component of the original trilogy - in 'Fellowship' especially - but feel contrived here and lack their previous menace. It also is very distracting to see Saruman use some kickboxing skills, when his character always relied on sheer power of magical ability and persuasiveness. I gained great satisfaction from the psychological themes presented by the dwarves being helpless to stop Thorin from falling victim to powerful vanity, narcissism and irrationality. Once again titular Hobbit Bilbo is underused, but at least he is crucial in making sure that the forces of good stop squabbling in time to face the fearsome hordes of the dread Necromancer. 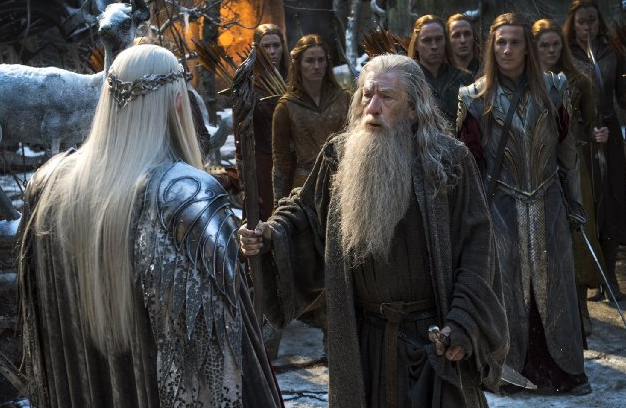 Gandalf also plays his mediator part to perfection, the viewer being able to trust in Ian McKellen's gravitas. Acting from all the returning actors from the original trilogy is indeed strong and assured, and the cast introduced for this trilogy mostly is generally equally strong. Although it is disappointing that Bilbo is sidelined yet again, this does not stop Martin Freeman from being note-perfect, and at least the equal of Ian Holm in the role. Freeman is one actor who has an effortless dimension to his technique but somehow never appears to be lazy in the process. I have also enjoyed the charisma of Richard Armitage's Thorin; making the most of his disturbing character arc, which eventually focused on resounding bravery despite terrifying odds. Luke Evans and Lee Pace really excel in the roles of Bard and Thranduil, with markedly different styles of asserting authority over their respective forces.. I did find the final showdown between chief Orc Azog and Thorin to be a curate's egg. The contrast of a man-o-mano fight with the bewildering battle of five armies is welcome, but it feels rather a mismatch such is Azog's brutal power. Later on the viewer is confused over the extent of Orc biology, with no real foundation to set things up, as a contrived twist sees Thorin letting his guard down to devastating effect. Luckily the final moments - with Bilbo utterly helpless to save the Dwarf king, and their mutual re-affirmation that they are true friends in spite of all their obvious differences - are terrific and avoid the trap of being maudlin. Less successful though are the final touches to the Legolas/ Tauriel/ Kili love triangle. I got involved more with this new storyline than quite a few Tolkien fans, but had hoped it would build on the bones presented in 'Desolation'. Instead we get a procession of clichés, including a predictable saving of one another's' lives. Kili recieves no kinder a fate in this movie than he did in the source material, and likewise his brother Fili - who surely deserved more of a story arc himself. There is some glimmer of interest earlier on when Thranduil briefly seems to consider killing Tauriel and even his own son Legolas, but it gets overwhelmed by the multitude of battles and hand-to-hand combats raging on at the same time. Evangeline Lilly still engaged me as the graceful and empathic Tauriel, and Aidan Turner's Kili is serviceable enough. Orlando Bloom is not a bad actor in anyway, but in keeping with the original 'Rings' trilogy Legolas is far more impressive in the heat of battle than he is when stationary and speaking. The various field battles that justify the film's title constitute entertainment that should stir the heartbeats of any reasonable audience member. There is no chance of really getting worn down as there is so much variety and good choreography distinguishing all the different participants involved in combat. I was waiting with bated breath for the emergence of Beorn in the battle - a character that registered firmly with me when I read the original book when young. Yet he is barely featured in this theatrical cut, which seems a waste. The concept of a shape shifting man/bear is as fascinating now as ever and a complement to the Warg element concept found in TV smash 'Game of Thrones'. More reassuringly, the use of the Eagles is once again magical, as they come in to help conclude the battle in the interests of the forces of good. And by the time Bilbo and Gandalf do return to the Shire, the film has not taken too long to wrap matters up. It may still seem a bit excessive to some moviegoers, but anyone who recalls the twenty minute 'Rings' ending that broke new ground for all the wrong reasons back in 2003 need not worry about a repeat. A nice bit of continuity features as Bilbo has to deal with an auction of all his possessions left behind - his being assumed dead due to his long absence. There is also an excellent transition back to the older incarnation of Bilbo, and the opening of Fellowship is nostalgically revisited without feeling self-aggrandising. Overall 'Battle' is a solid enough winter blockbuster, which should satisfy many fans of Middle Earth and the fantasy/action film genre. It may be weakened by being a prequel to a much more compelling and thematically rich story, and furthermore some characters fates are known already. But it is definitely worth seeing, if under the proviso that newcomers should make the effort to see parts one and two first, as there is no time spent on convenient flashbacks or verbal reminders. The biggest question left now is, will there be any new live action films based on JRR Tolkien's universe made in years or decades to come? BBC2's landmark four part history of Science-Fiction and its influence on culture concludes with a wheezing, groaning noise and a trail of tyre-fire with a journey through Time. This is a lighter and less focused ride than the previous episodes, but still watchable and highly entertaining, with some interesting turns. As with episode two (Invasion), we begin with H.G. Wells, and this time Dominic Sandbrook uses The Time Machine and Wells' riffing on his own social concerns as a jumping-off point. Before long, we jump to a lengthy section on Doctor Who - generously represented by a glut of clips, plus interviews with David Tennant and Steven Moffat. Sandbrook gets to visit the Doctor Who Experience, where he's clearly having a whale of a time. Surprisingly though, the main message here is basically that Doctor Who is great. The time travel juxtaposition stories, the tales of paradox or dilemmas about changing history, even the time-wimey elements of more recent years are passed over in favour of a clips package. It's good to watch for a Who fan, but actually it's slightly jarring when we move on to Back to the Future - again, well explored and thought out, with a Delorean photo opportunity, but it misses out discussing the clever sequel - which is more a deconstruction of the events of the original film, which is a shame. Things take an abrupt detour about the halfway mark, when all of a sudden we're not talking about time travel any more, but have moved on to dystopian futures, like Metropolis and Blade Runner, via high-rise brutalist architecture and J.G. Ballard. All interesting and thought-provoking stuff with more good talking heads material from Edward James Olmos and Rutger Hauer, but it goes quite off-piste until we return to time travel with Chris Marker's haunting La Jetee, composed of haunting stills, to be remade thirty years later as Twelve Monkeys - and ultimately its spiritual successor Looper. The theme of being stuck in a single moment rears its head with Groundhog Day - time travel as metaphor for making a difference, writing wrongs, and saving yourself, neatly dovetailing with Quantum Leap, but largely skipping over A Christmas Carol. This is a strange oversight, but we do get Donald P. Bellisario's explanation of the germ of the series, an encounter he wished he could have changed with hindsight - his fractious meeting with a Pravda-reading fellow conscript whilst serving in the Marines in the 1950s - one Lee Harvey Oswald. The romantic, yearning side of time travel is addressed briefly with The Time-Traveller's Wife, but we're soon back with Doctor Who - as Sandbrook concludes by meditating on the Doctor's relationships with his human companions and the emotional price of this. As Neil Gaiman aptly remarks, for the Doctor it's deferred bereavement just becoming friends with him. Despite this heavy concept, we end on a note of childlike excitement, with Sandbrook on the set of Peter Davison's TARDIS, pointing out that if you could time travel - you would. With a press of a button, the central column rises, and he's gone. Tomorrow's Worlds has been a real highlight. Occasionally it's wandered slightly off-book with some of the material used, but that's forgivable when you have four episodes of this quality, with such good interviewees and such a motherlode of archive footage so ably strung together into compelling stories by the excellent Sandbrook. Here's to tomorrow. In the third of a strong run of themed documentaries that have so far examined Space and Invasion, this week, Tomorrow's Worlds takes on Robots. Starting off in Oxford, Dominic Sandbrook pores over the original manuscript of Frankenstein, arguing convincingly that it is the first true Science-Fiction novel, and highlighting the original, oft-forgotten subtitle of Mary Shelley's tale - The Modern Prometheus. Frankenstein is a very early manifestation of a fear of where exactly scientific hubris could lead man, should he try to play god. Society develops an interest in robots, of which Victor Frankenstein's intelligent, yet tortured creature is a clear ancestor - but yet, argues Sandbrook, our techno-fear has never quite left us, particularly when we anthropomorphise robots. The bottom line is that we don't really trust them, especially when they mimic our behaviour and try and be like us, a theme he comes back to later on. As with the previous episodes, Sandbrook engagingly draws some neat lines and parallels, detouring away from the prevailing image of the evil killer robots for a while, he looks at the good ones. He moves neatly through Asimov's Laws of Robotics and Robbie the Robot from Forbidden Planet to reach the cute, non-humanoid Hewie, Dewie, and Lewie from Silent Running, and their famous successors R2-D2 and C-3PO. Threepio is humanoid, (and owes a clear, acknowledged debt to the iconic Maria from Fritz Lang's Metropolis) but Artoo of course is not, it's the humanised performances of Anthony Daniels and Kenny Baker that lends the droids their unthreatening, likeable character in the same way that Arnold Schwarzenegger's remorseless, cold-as-ice Terminator characterises the classic killer robot. Daniels smilingly speaks of a meeting with roboticists in which he points out that they don't know what it's like to be a machine and he does, but this is an actor's sense of hype more than anything else. Nobody could ever really know. Sandbrook moves from here back to more familiarly dystopian territory, to the man-machine hybrid of the aforementioned Terminator, but more importantly the faceless, automated threat of Skynet, which had much in common with Ronald Reagan's infamous 'Star Wars' orbital defence system. The possibility of machine turning on man when man does something that doesn't fit with programming or 'the mission' is illustrated by the still-chilling sequence in 2001 where HAL politely tells Dave Bowman that he's sorry, he can't open the pod bay doors. The promethean theme of Frankenstein returns with Spielberg's AI, where a robot child tries to be loved, and to be human, with the human-infiltrating Cylons of Battlestar Galactica, and most compellingly, with the Creature's punk grandson - Blade Runner's Roy Batty. Sandbrook moves seamlessly from machines trying to be men to men becoming machines, first in passing where he points out the dubious morality in essentially trying to lobotomise Alex in A Clockwork Orange, and then more fully when he looks at everyone's favourite tragic spare part surgery enthusiasts, the Cybermen. David Tennant and Neil Gaiman pop up to discuss their enduring appeal, illustrated by clips from Tomb of the Cybermen and their 2006 revival under Russell T. Davies. The clips from Rise of the Cybermen/The Age of Steel aren't the best illustration of the Cybermen's chilling body horror, but time slots are limited, and there is a huge amount of ground to cover here, which Sandbrook does expertly. The haunted, reticent Six Million Dollar Man and Paul Verhoeven's savage satire Robocop are both referenced as a not-so far gone example of where Kit Pedler and Gerry Davis's nightmare vision of repairing ourselves could lead. Interestingly, Star Trek's famous Borg, a similarly chilling premise based on assimilation and absolute conformity, don't get a look in. The contributors are excellent value throughout, John Landis, Douglas Trumbull, Peter Weller, Paul Verhoeven, Keir Dullea, Gale Ann Hurd, a scarily grown-up Haley Joel Osment, Brian Aldiss, a thoughtful Edward James Olmos and Ron Moore, and best of all, a twinkling Rutger Hauer, who reprises his wonderful "I've seen things you people wouldn't believe..." speech from Blade Runner. Things only drift a little off-piste at the end, when we move to William Gibson's coining of the concept of cyberspace in Neuromancer and segue into the VR world of The Matrix. Relevant? Yes. Robots? Not so much. Also, Tron rather unfairly misses out on the party here, a much earlier version of a virtual world and man versus machine - less edgy, but still pioneering. Nevertheless, minor quibbles aside, this is still an excellent, thoughtful hour of television. The full series probably deserves a director's cut of sorts, trying to cover such a lot of ground coherently in an hour timeslot is always going to be a headache. Sandbrook signs off neatly by suggesting that we are still not entirely comfortable with creation, and that's why these stories keep on coming. Next week: Time. Or was that last week? After a strong opening instalment delving into man's exploration of space, BBC2's excellent documentary series brings us back down to Earth with a thoughtful examination of one of Sci-Fi's favourite party tricks - the alien invasion. Starting off strolling through a field in Surrey, Dominic Sandbrook weaves together a compelling tale of how man's hopes and fears have informed tales of invasion ever since the height of the British Empire, when H.G. Wells put pen to paper to create the godfather of all alien invasions - The War of the Worlds. Sandbrook points out War of the Worlds' origins in late-Victorian fiction, the aliens replacing French and German invaders in 'What If' tales that dared to imagine if the empire fell to its european neighbours. He also looks at how Wells' tale has been famously recast and relocated over the years from its original, less flashy setting - taken to New York by Orson Welles on the radio, to Los Angeles by George Pal, and lastly, in true 1990s 'more is more' fashion - given a bombastic global makeover by Roland Emmerich for Independence Day. Many of these riffs on the original story, Sandbrook points out, are coloured by growing public unease at current events of the time - the rise of fascism in 30's Europe, and 'Reds under the bed' in McCarthyite America. The Pal version of 'Worlds' created a huge ripple, and arrived between two films offering similarly paranoid competition - The Thing From Another World, and Invasion of the Bodysnatchers - both concerned with the fear of enemies in our midst. Back in Blighty, Sandbrook posits that homegrown competition such as Village of the Damned draws as much on juvenile delinquency and the new phenomenon of the teenager as it does on alien incursion. 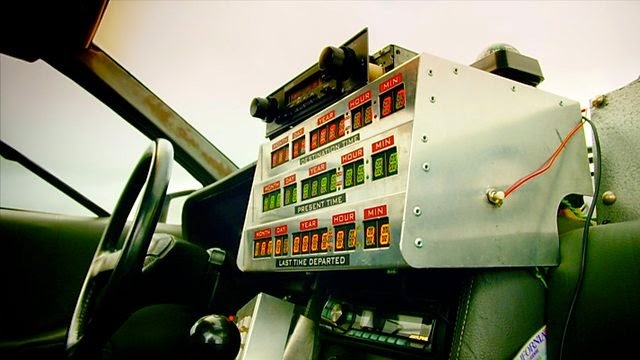 By this time, Sci-Fi has become big business, and captures the public's imagination in the jet age. The BBC launches Nigel Kneale's Quatermass serials in the same year as Pal's hit version of War of the Worlds, and by the time of Quatermass and the Pit five years later, ten million viewers are tuning into Kneale's sophisticated meditation on how mankind could have been cultivated by aliens throughout history. With Sci-Fi now firmly part of the mainstream by 1964, our old friends the Daleks trundle into view, with special attention played to Doctor Who's first alien invasion blockbuster, The Dalek Invasion of Earth - coinciding nicely with the story's 50th anniversary. The Daleks-as-Nazis comparison and the profound effect of WWII on Terry Nation are fleetingly explored, but we move on rapidly to Steven Moffat, David Tennant, and a still crop-haired Karen Gillan basically discussing what great and greatly-designed bad guys the Daleks are. Unfortunately the 'modern' Dalek clips are mainly of the underwhelming Supreme Dalek from The Stolen Earth/Journey's End, which is one of the least impressive versions that the modern show has offered up. From here, the remit of this episode broadens considerably, but almost overreaches itself by trying to fit too much into a limited runtime; taking in the peaceful first contact of Close Encounters of the Third Kind, the child's-eye view of E.T., the apartheid allegory of District 9, the all-out paranoia of John Carpenter's remake of The Thing, Ray Harryhausen's stop-motion wizardry, and the horrific A-Bomb-inspired origins of Godzilla. Sandbrook finds something of value worth discussing in each, and the talking heads are great value, but the tail-end of the episode feels slightly rushed due to so much being squeezed in. Obviously, Earth invasion stories are plentiful, but Alien Nation features whilst the landmark V bafflingly doesn't, - and the amount of time allocated to Men in Black and the slightly tenuous inclusion of Jurassic Park means that The X-Files gets surprisingly short shrift. Nevertheless, this is still a fine watch, full of great footage and top-class talking heads (Richard Dreyfuss, John Carpenter, Neil Gaiman, Chris Carter, Roland Emmerich, the aforementioned Tennant, Moffat, and Gillan, plus effects gurus Phil Tippett and Doug Trumbull), all thoughtfully stitched together by Sandbrook, who gives weight and context to what could be simply a clip show in lesser hands. Next stop: Robots.